Automatic church phone answering services let you record your own church call announcements and events and play these messages to callers from anywhere in the country. 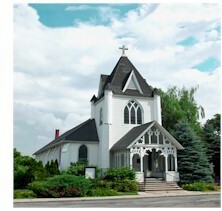 A church member could make selections from a menu or leave a message for the church. If the member needs to talk with a church representative, the message can be programmed to allow a "Press 1...." option and the call will be transferred to one or more designated phone numbers. Here are a few examples of how an IVR can help get information to your church groups and members.